Suppliers in the the US, where recreational cannabis is legal in 10 states, and Canada, where the drug was decriminalised for recreational use last year, reported difficulties fulfilling orders on what has been called the Black Friday of the industry. Some delivery websites, and the biggest legal delivery app, Eaze, crashed under the weight of demand on Saturday. Online cannabis dispensaries Nugg and Chill also suffered difficulties throughout the day. Eaze crashed repeatedly soon after it began “happy hour”, with free delivery in California, and a 20% discount on cannabis-related products in other states. 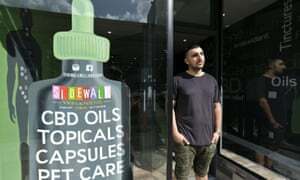 Armen Yemenidjian, chief executive of Essence Cannabis Dispensaries, which is based in Las Vegas, said 20 April was “definitely the Black Friday of the industry”, in reference to the day in November that has become the busiest shopping day of the year. The annual celebration, which dates to the 1990s, has been hijacked by big brands seeking to cash in. Pizza Hut, Ben & Jerry’s ice-cream and the ride-sharing company Lyft this year all ran weed-themed promotions. Pizza Hut cut the price of its Hershey triple chocolate brownie from $5.99 to $4.20 to coincide with weed day. Lyft offered rides in Massachusetts for $4.20, saying it did not want people to risk driving under the influence. Ben & Jerry’s partnered with a San Francisco cannabis supplier to give all customers a free tub of its Half Bakedflavour, a combination of cookie dough and fudge brownie. The Vermont-based ice-cream maker is also calling on consumers to pressure lawmakers to expunge prior marijuana convictions for anyone arrested for smoking pot. There were organised weed celebration in Denver, San Francisco, Washington DC, New York, and in Hyde Park in central London. As the seconds ticked down to 4:20pm, thousands of people lit cannabis joints in unison, and called on the government to decriminalise the class B drug. The origins of 4/20 day are unclear, but began with a group of friends in California in the 70s who would meet up after school at 4.20pm to smoke weed. The teenagers at San Rafael High School, about 20 miles north of San Francisco, would apparently arrange smoking sessions with the code “420 Louis” which meant meet at 4:20pm near the school’s statue of Louis Pasteur. “Back then, we spent every day of our lives worrying about getting busted,” Steve Capper, one of the members of the group, told the San Francisco Chronicle. “Going to buy was a really secret thing.” . While it started as an inside joke, 4/20 has stuck among weed users in the US and beyond. Officials for the city of Portsmouth (population 95,000) will no longer seek to criminally prosecute low-level marijuana possession offenses. 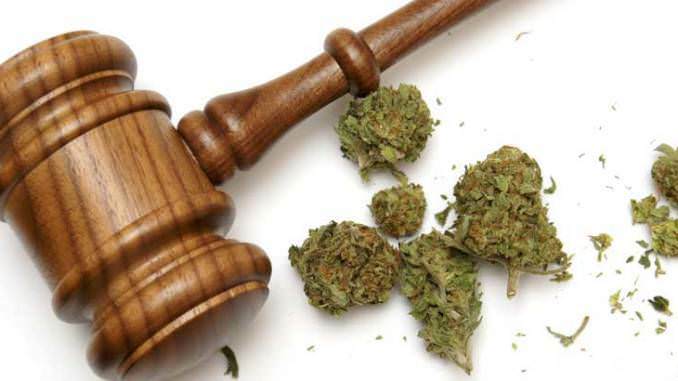 “Effective immediately, please be advised that this office hereby moves for dismissal … on all possession of marijuana charges in the Portsmouth General District Court,” Commonwealth’s Attorney Stephanie N. Morales stated in an April 8th correspondence to judges. In comments to local news media, Morales said that prosecutors ought to focus their limited resources toward more serious crimes. “It is really time we think about how we start to decarcerate as opposed to incarcerating for every type of crime,” she said. Under state law, first-time marijuana possession violations are classified as a criminal misdemeanor, punishable by up to 30 days in jail. Her actions are similar to those recently taken in Norfolk, Virginia (population 255,000), as well as in a number of other major cities throughout the country, including Baltimore, Philadelphia, and St. Louis. In an effort to educate the Latinx community, the Cannabis Cultural Association presents the trailer for the short film titled: CannaAbuelo: The Jorge Gavilanes Story. In his native language of Spanish (with English subtitles), Jorge Gavilanes shares his experience as a New York State medical marijuana patient in the short film which is slated for a May release. Jorge, who was first diagnosed with cancer nearly 20 years ago, describes the life-changing impact cannabis oil has made on his health and overall wellbeing. Jorge’s story shows the need to educate our community about cannabis as medicine and to find new ways to talk about cannabis with our families. Production credit to ShootMadonna. In 2001, doctors diagnosed Jorge Gavilanes with prostate cancer. Jorge immediately underwent surgery to remove his prostate and began chemotherapy treatments. Several months later Jorge’s cancer went into remission. After 14 years of check-ups and clear body scans, Jorge’s cancer came back, except that this time, it spread to his chest. Specialists in both Ecuador and the United States recommended new rounds of chemotherapy but were not hopeful as to how effective chemo would be. They gave Jorge six months to a year to live. Jorge—remembering chemotherapy’s draining effects from his first fight with cancer—declined treatment. He preferred to enjoy his remaining time with his wife and family. A year later in February 2016, Jorge had outlived his doctor’s predictions but had also lost a significant amount of weight and most of his daily energy. Jorge’s grandson Nelson brought up the idea of cannabis tinctures as a non-invasive way to improve Jorge’s quality of life. Jorge was willing to try the idea and began to take three drops of THC and CBD tincture after every meal. Immediately, Jorge felt his appetite return and he began to sleep through the night, something he had not been able to do consistently since before his initial surgery in 2001. The tinctures allowed Jorge to treat his symptoms without spending his time in the hospital, and they quickly became an important part of his daily regimen. At 80 years old, Jorge continues to fight his Stage 4 cancer by micro-dosing cannabis tinctures every day. For the first time, Jorge shares his story as a medical marijuana patient. Quote from Nelson Guerrero, Jorge’s grandson: “It is an absolute miracle to still have Abuelo in my life. Cannabis tinctures have given him the chance to push past his cancer diagnosis and continue living his life to the fullest. My greatest hope is that this interview helps members of the Latinx community open their eyes to cannabis’s life-saving potential, and help dispels some of the plant’s deep-rooted stigma. 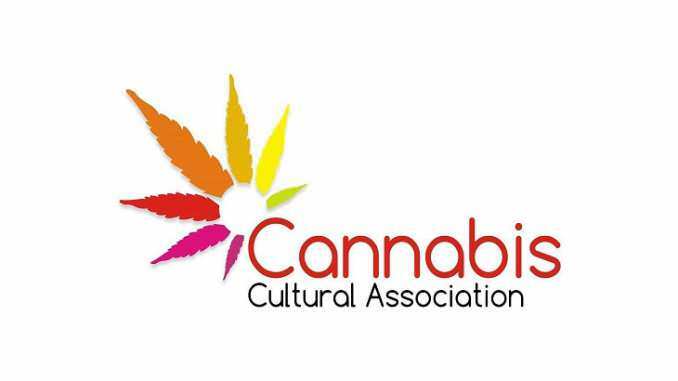 The Cannabis Cultural Association is a Section 501(c)(3) nonprofit organization based in New York that helps marginalized and underrepresented communities engage in the legal cannabis industry, emphasizes criminal justice reform, promotes access to medical cannabis, and advocates for adult-use legalization. Today may be the day that marijuana officially loses its cool. April 20, 4/20, the once underground national holiday for dope smokers, appears to have sold out to The Man. The origins of 4/20 are as disputed as the last pack of gummy bears after a long smoking session. 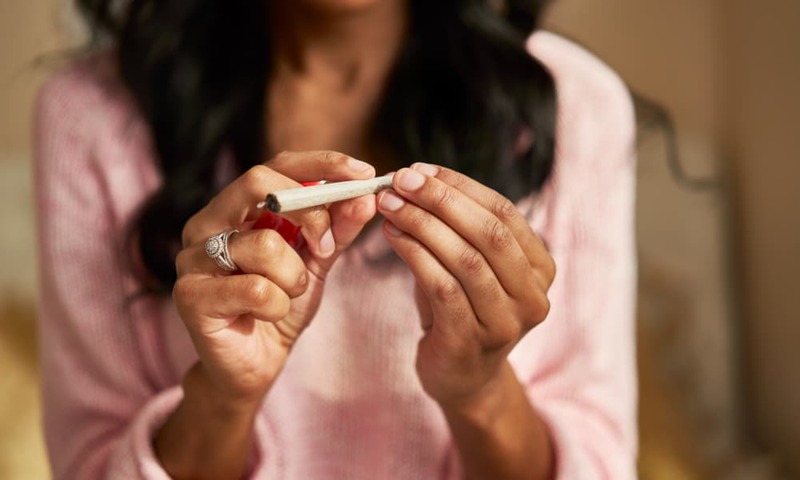 Some say it was once police code for “marijuana smoking in progress” – apparently untrue – and others claim it was invented by high school stoners in Marin county, California, who would meet at 4.20pm to get high. No matter what the origins it’s big business for a rapidly growing industry – the Black Friday of getting high. This year’s 4/20 falls on a Saturday and is expected to be the biggest sales day yet for legal marijuana, exceeding an 111% sales spike record last year. Stoners will gather at Denver’s Civic Center Park to celebrate, with clouds of marijuana smoke drifting over the crowds, some still in tie-dye and preaching cosmic one-ness. 4/20 doesn’t have a Hallmark card yet but it can’t be far off. Of the hundreds of tie-in promotions this year, Lyft is offering a $4.20 credit on a single ride in Colorado and in select cities in the US and Canada. The fast-food chain Carl’s Jr is using a Denver outlet to test a hamburger infused with CBD oil. But there is a serious side to it. This year the ice-cream maker Ben & Jerry’s is calling on consumers to pressure lawmakers to expunge prior marijuana convictions for anyone arrested for smoking pot. Considering those arrests are four times more likely to affect African Americans, the social justice implications are clear. According to Kit Yarrow, a consumer psychologist at Golden Gate University, 4/20 is on its way to becoming a mainstream national holiday and that’s largely a function of the booming marijuana business. Arcview, a cannabis investment and market research firm, estimates US retail sales of cannabis products jumped to $10.5bn last year, a threefold increase from 2017. “It’s still a celebration of marijuana but the conversation has been expanded by brands that tie into the cannabis industry and for marketers to tie into something that has a coolness to it,” Yarrow says. That conversation, she adds, is increasingly focused on people wondering what role cannabis may play in their life. “The stoner dude mentality is still there but there is another that is more focused on marijuana’s medicinal properties and that’s growing in stature,” said Yarrow. The marijuana business could soon be dwarfed by the market for products using CBD, a cannabis compound from the hemp plant that supposedly has health benefits but doesn’t get you high. CBD, which is not listed as a controlled substance, can now be found in candies, coffee and other food, drinks and dietary supplements, along with perfume, lotions, creams and soap. According to Louis Zerobnick, a veteran Colorado cannabis promoter, the CBD industry has the potential to become a far larger business than an industry based on THC, the psychoactive ingredient in cannabis. As it is, he says, the marijuana industry has moved far beyond its hippie-stoner roots and is increasingly dominated by big industry and big banking. “A lot of the old hippies aren’t going to make it in this new industry. Although they’re responsible for it, and did the activism to make it happen, you find that marijuana companies want to bring in people who have worked in other government-regulated industries. That’s the level of professionalism that’s now required to turn it into a real business,” said Zerobnick. And in the meantime Big Business is moving in to harsh the original stoners’ buzz. John Boehner, the permatanned former Republican speaker of the House, is a director of one of the US’s largest cannabis businesses, Acreage Holdings. Coca-Cola has joint venture with a cannabis company that could lead to Coke High. Big tobacco is waiting in the wings. The 4/20 the counterculture pioneers who campaigned for legalization may well be wondering if there is a high price for a legal high. “We don’t necessarily like it but everybody knows it,” says Zerobnick. At the same time that a lot of old hippies won’t make it, he says, “many could become billionaires when they’re bought out and their strains turned into commercial success”. The Commission’s recommendations are similar to those previously issued by the American Automobile Association, the National Highway Traffic Safety Administration, and other traffic safety experts who have similarly opined against the imposition of per se thresholds for the presence of THC. NORML similarly argues that the identification of THC in blood is a poor predictor of either recent cannabis exposure or impaired performance. Five states — Montana, Nevada, Ohio, Pennsylvania, and Washington — impose various per se limits for the detection of specific amounts of THC in blood while eleven states (Arizona, Delaware, Georgia, Illinois, Indiana, Iowa, Michigan, Oklahoma, Rhode Island, Utah, and Wisconsin) impose zero tolerant per se standards. In those states, it is a criminal violation of the traffic safety laws to operate a motor vehicle with detectable levels of THC in blood. 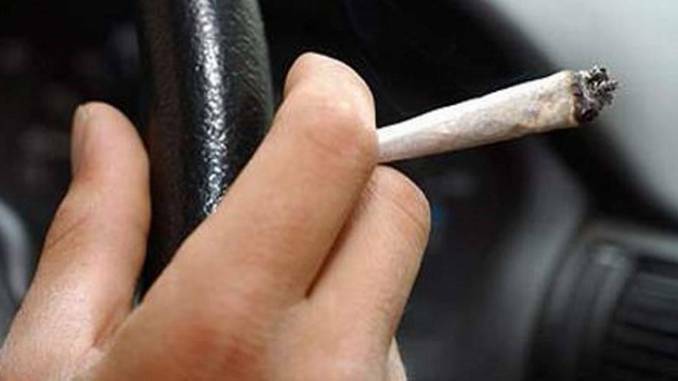 Colorado law infers driver impairment in instances where THC is detected in blood at levels of 5ng/ml or higher. Keep in mind, Guerra is usually hitting a blunt between stanzas himself. Those who don’t listen to regional Mexican music (a U.S.-created umbrella term that refers to sounds like norteña, ranchera, banda, and mariachi) might think that the soundtrack of marijuana culture is Snoop Dogg, Bob Marley, Afroman — even the Grateful Dead, depending on sonic orientation. But for a significant portion of U.S. Chicano and Latino communities, an ideal blunt-rolling playlist is corridos verdes (green corridos), a strain that runs through the regional genre of corridos, and one that Guerra and his band helped pioneer. In addition to northern Mexico, California has long been a center of corridos, a reputation powered by vast Chicano communities and influential Latino music industry institutions. Guerra immigrated to the state when he was just 12 years old from his childhood home of Michoacán, making the perilous trek across the deserts of the U.S.-Mexico border with a coyote. Legado 7 is far from alone in today’s corridos verdes cypher. 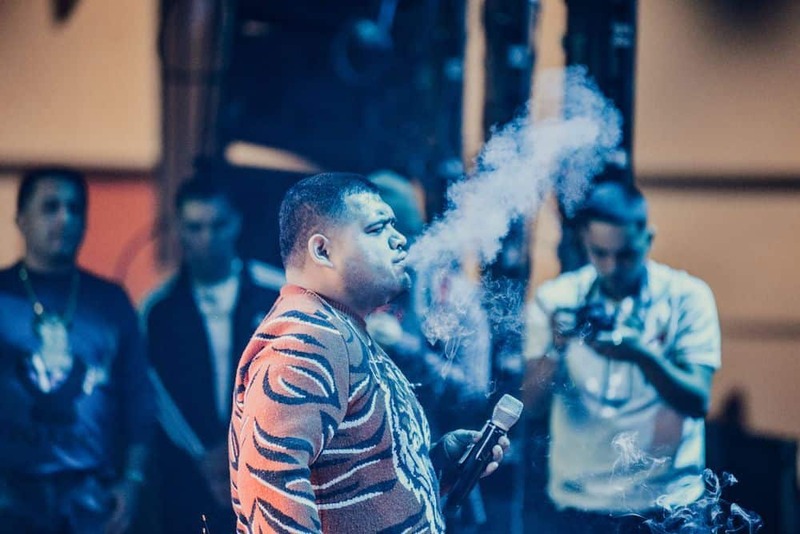 Ely Quintero gets “bien happy bien relax” in her 2018 anthem “Quiero Andar Al 420.” Hijos De Leyva document cannabis’ party-starting properties in “Humo Tranquilizante” and Lenin Ramirez sings the praises of a nice post-work indica in “El Del Blunt De Mota”. Some of the best-known corridos groups like Arsenal Efectivo and T3R Elemento release corridos verdes. The vibe has even bled into the powerful Latin trap genre — check Mexican duo La Plebada’s trap corrido “La Galliza” with beloved corridos baritone El Ezequiel for a good sum-up of the auditory state of regional stoner affairs. 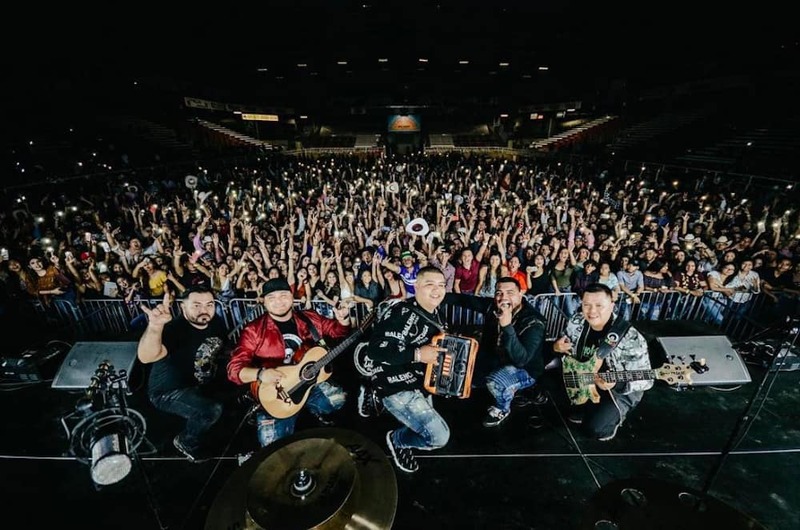 Such is the popularity of the genre that three years ago, Legado 7 and their label Rancho Humilde’s founder Jimmy Humilde came together to start the Smoke Me Out Tour, dedicated to the stoner side of regional. The event series kicks off its third year on 4/20 with a sold out show at downtown Los Angeles’ Microsoft Theater for the second straight year — in 2018, the team embarked on a 70-town tour afterwards. The corridos genre is sometimes ambitiously traced back to the mid 18th century and rose to popularity during the Mexican Revolution, when songs told of battlefield exploits. But towards the end of the 1800s, came the birth of narcocorridos with lyrics focused on outlaws. At the time, that meant textile smugglers dodging authoritarian president Porfirio Díaz’s astronomical fabric tariffs. It is possible to follow the history of Mexico’s black market anti-heroes through the corrido. The literally deified late 19th century Culiacán bandit Jesus Malverde was — and is — a popular protagonist. There were odes to U.S. Prohibition-era tequila bootleggers, the 1970s marijuana smugglers of Los Tigres del Norte’s “Contrabando Y Traición”, and the early ‘90s SoCal gangster rap-paralleling corridos of Chalino Sánchez. Famously, the protagonists of Mexico’s late 20th and early 21st century drug cartels have become corridos protagonists, and groups dubbed “de la Sierra,” or from the mountainous regions where poppy and marijuana is grown in Mexico, are the bards of biographic chapters of Rafael “La Noria” Caro Quintero and the law enforcement Houdini that is ex-Sinaloa Cartel jefe El Chapo. Note that many of the corridos’ historical anti-heroes have made their fortune and their name supplying the United States with contraband. In a sense, the corridos verdes’ Californian-Mexican providence reflect the difference a border can make in attitudes towards marijuana. In Mexico, the Supreme Court has declared marijuana a constitutional right, and legislators are supposedly mulling a proposal made by the president’s interior minister Olga Sánchez Cordero to federally legalize recreational cannabis. But for now, the majority of Mexicans still associate marijuana with violence — to be expected in a nation where the government’s war on drug cartels has claimed some 150,000 lives since 2006, according to a 2018 U.S. congressional report. 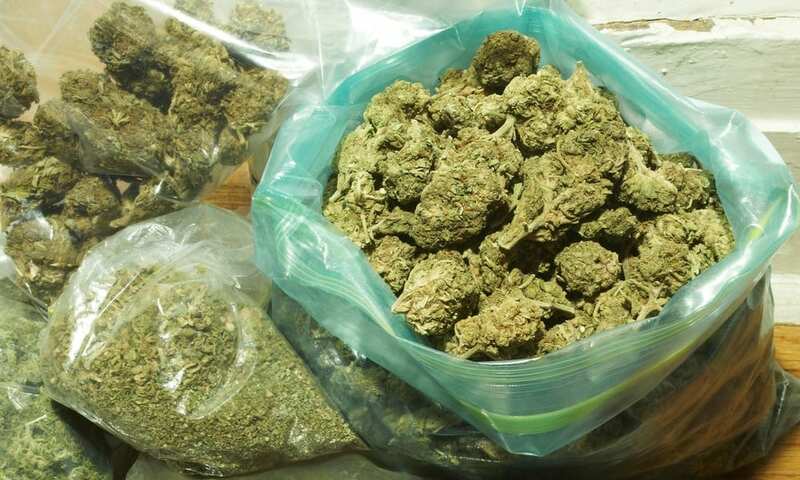 The country continues to be one of the world’s top producers of cannabis, its sale currently limited to a black market powered as much by poverty and lack of other industry as profits. Of course, Mexico is not the only country that still deals with cannabis related violence; In the U.S., POCs continue to go to jail at (in some cases, growing!) rates for low-level marijuana offenses. Certainly, biased policing and illegal market exist in the Golden State, but California is also the land of the wildflower bouquet dispensary promotional freebie and a legal recreational market that raised $345.2 million in tax revenue in its first year. The corridos verdes’ consumer — as opposed to trafficker — take on the marijuana market may also reflect shifting societal attitudes towards cannabis. That being said, Guerra affirms that the group has no interest in losing touch with its audience that bop to stories of Mexico’s cartels — which still employ large numbers of the country’s population and take in $19 to $29 billion annually. In 2019’s green rush, it’s important to keep in mind that cannabis has not been divorced from violence and married to corporate profits everywhere. 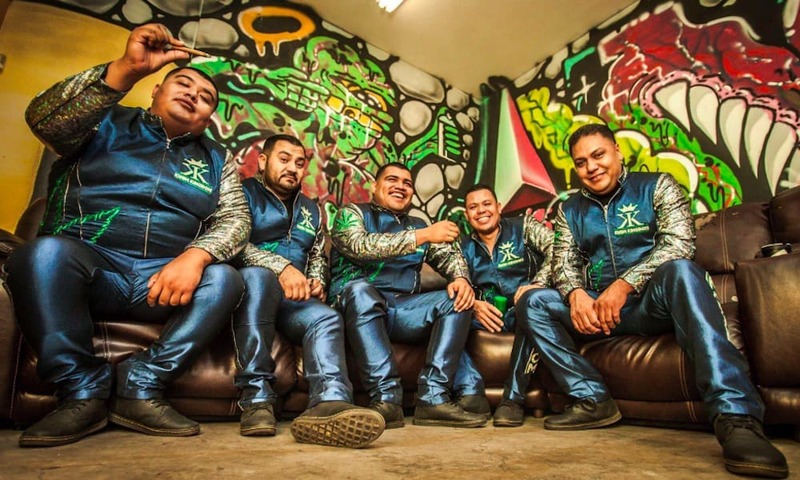 In straddling the line between exuberant legalization trends and Drug War reporting, corridos verdes groups may be creating the most accurate cross-border vision of cannabis culture we have today. Stumptown Coffee Roasters, East Fork Cultivars, Coalition Brewing, and Congressman Earl Blumenauer will celebrate the cannabis holiday 4/20, and National Cold Brew Day, with the launch of a CBD Cold Brew this Saturday, 4/20, at 2pm at Coalition Brewing (2705 SE Ankeny Street – Portland, OR). 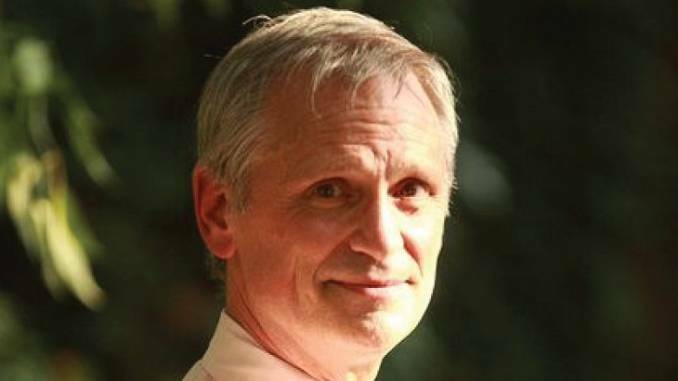 Congressman Blumenauer and the founders of East Fork Cultivars and Coalition Brewing will also speak about the craft hemp and cannabidiol revolution. The event will take place at Coalition Brewing’s 2nd annual Two Flowers CBD Beer Festival which is a celebration of CBD and craft beverages. Stumptown Coffee Roasters is introducing CBD Cold Brew Elixir to the Portland market on National Cold Brew Day (April 20). Available at Stumptown cafe locations in Portland, the CBD Cold Brew Elixir is made up of Cold Brew concentrate with 15 mg of CBD that is locally grown in Oregon by East Fork Cultivars and USDA Certified Organic. Founded in 2015, East Fork Cultivars is one of Oregon’s leading craft hemp and cannabis farms. Their mission is to develop and preserve sustainable, sun-grown farming methods to produce high-quality, genetically diverse, CBD-rich craft cannabis and hemp with a resolute commitment to environmental responsibility, science-based education, and social justice. The CBD Cold Brew Elixir is a limited edition offering, with only 1000 bottles being produced. The 3.2 oz bottles will be $4.20. The CBD Cold Brew will only be available at Stumptown’s cafe locations in Portland, excluding the airport. But that 55 percent hides the dramatic differences in views on legal adult-use cannabis across age groups. According to the report, 80 percent of 18-29 year olds support legalizing. Support drops off slightly, to 67 percent, among 30-49 year olds, before hitting an even split among Boomers aged 50-65. From there, attitudes swing sharply back toward prohibition, with 69 percent of those 65 and older opposing adult-use legalization. Support for legalization was also much higher in the metro New Orleans area. In the north of Louisiana, a majority of residents still oppose legalization. The report says the rest of the state splits the difference more evenly. Interestingly, the data also shows that those with less education were less likely to support legalization than those with some college education or a four year degree. Just 47 percent of survey participants with a high school education or less supported legalization, while 61 percent of those with some college support it. Political party affiliation also made a difference, but not by much. About half of all Republicans opposed legalization, while 55 percent of Democrats supported it. The 2019 Louisiana Survey is the eighteenth in an annual series conducted by the Reilly Center for Media & Public Affairs. The survey primarily establishes benchmarks of change in residents’ assessments of state government agencies. But it also aims to be a barometer of public opinion on the contemporary policy issues facing the state. This year, the survey gathered data on a number of issues ranging from teacher pay and Medicaid expansion to gun policy and marijuana legalization. But despite shifting attitudes toward more progressive drug policy, Louisiana police continue to enforce the state’s harsh cannabis laws and mandatory minimum sentences. Across Louisiana, some local jurisdictions have enacted their own laws or resolutions to fully or partially decriminalize minor possession. But in those places, police have turned to cracking down on hemp CBD retailers. Thanks to the major change in federal drug policy ushered in by the 2018 Farm Bill, hemp products containing less than 0.3 percent THC are legal nationwide. But Louisiana has a law on the books prohibiting products that contain any THC. So law enforcement officials have been handing out notices threatening citations to any business selling CBD products, especially oils. New evidence from Michigan State University suggests that those who smoke cannabis, or marijuana, weigh less compared to adults who don’t. Researchers used data from the National Epidemiologic Survey of Alcohol and Related Conditions and looked at the Body Mass Index, or BMI, of 33,000 participants, ages 18 and older, then compared the numbers. While the actual weight difference among users and non-users was modest, around 2 pounds for a 5-foot-7-inch participant weighing about 200 pounds at the start of the study, the variance was prevalent among the entire sample size. The Bear was responsible for two of the seizures that made up the offloaded drugs, seizing about 7,900 pounds of weed and 300 pounds of cocaine. The Coast Guard Cutter Valiant, in a single case, confiscated about 2,700 pounds of cocaine. A Coast Guard Tactical Law Enforcement Team aboard the Navy ship USS Tornado seized approximately 6,100 pounds of cannabis and 660 pounds of cocaine in two separate interdiction cases. Both the Valiant and the Tornado are home-ported in Jacksonville, Florida. The drugs were intercepted by the Coast Guard with the cooperation of other federal agencies, according to Dennelly. “It is through successful interdictions, such as the ones we are offloading today, that impact these criminal organizations, regardless of the product they are smuggling. It is certainly a team effort with contributions by our Customs and Border Protection Air and Marine Operations partners, Department of Defense, and other DHS partners that make today’s offload possible,” he said. The Coast Guard has intercepted more than 1.3 million pounds of cocaine worth an estimated $18 billion in the last three years. Rep. Sean Patrick Maloney, a Democrat from New York, praised the work of the Coast Guard at a press conference at Port Everglades. Maloney is a member of the House Transportation and Infrastructure Committee, which has regulatory authority over the Coast Guard and other federal agencies. “These are difficult and dangerous missions that they make look routine, but that involve real sacrifice and real risk to them and we need to remind ourselves of that,” he said.